Once you have decided on a project you may want to work out how much yarn you are going to need. This may be so you can buy or dye the correct amount without vastly over or under estimating. The following will take you through the calculation to work out how much weft yarn will be needed. It looks like a lot but they should be relatively straight forward things to work out. For the sake of simplicity I will work in centimetres/meters but the same can be applied to inches/yards. The picks per cm is usually determined by sampling but if it has no been woven before see CALCULATING A SETT and use the same as the epc. The shrinkage/take-up is usually assumed to be 10% of the width of the woven piece but this can vary by a large amount depending on the yarn, structure and finishing. 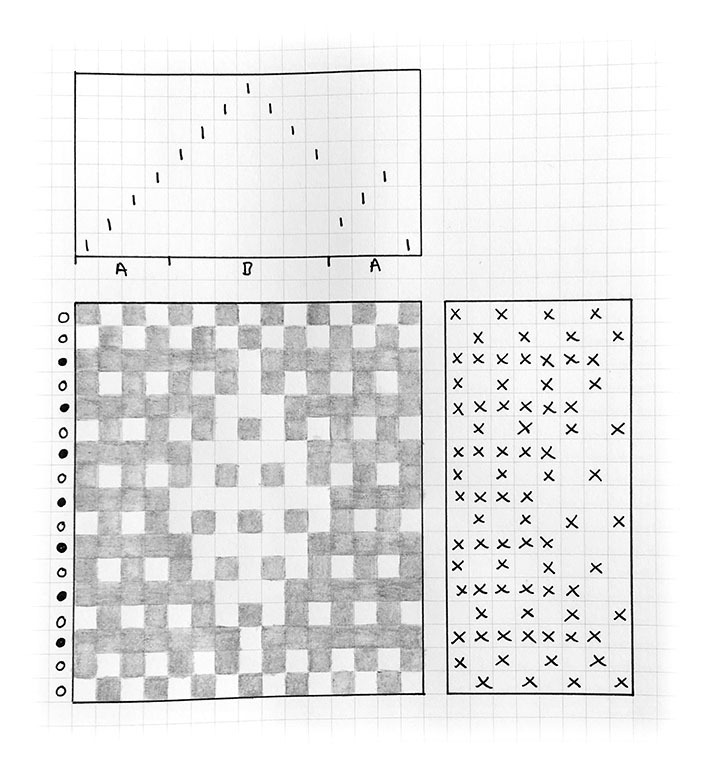 Sampling will give you a more accurate number. It is often easier to work out the calculations in cm and then convert to m by dividing by 100 at the end. Leno is a weave structure where two or more warp threads twist around the weft threads. This technique is often used to create strong, fine fabric which is stable. The twisted warp yarns ensure the yarn does not move. It is also useful to use this ta the edge of a gap in the warp otherwise the warp ends have a tendency to want to fill the space. Setting up a loom for doup leno is time consuming but once it is set up it’s fairly quick to weave. To create this structure a loop of thread (a doup) is attached to an empty shaft and travels through an empty heddle on an adjacent shaft. The doup warp end is then threaded through the doup to pull it under an adjacent warp end creating a twist. A weft pick holds the twist in place. Below shows a doup attached to shaft 2 and poking through an empty heddle on shaft 1. Two shafts are needed to create the twist and two are needed for the twisting warp ends. This is in addition to any shafts needed if other structures are to be included in the fabric. It is important that the doup is not too long and only just reaches through the heddle as this would result in a poor shed. The warp end to be twisted will be threaded through this loop rather than a heddle. A strong smooth thread works best for the doups. A doup will be needed for every twist required. It’s a good idea to make the doups by tying them around something such as two nails in a piece of wood spaced the required distance apart. They need to all be consistent in length to ensure an even shed. 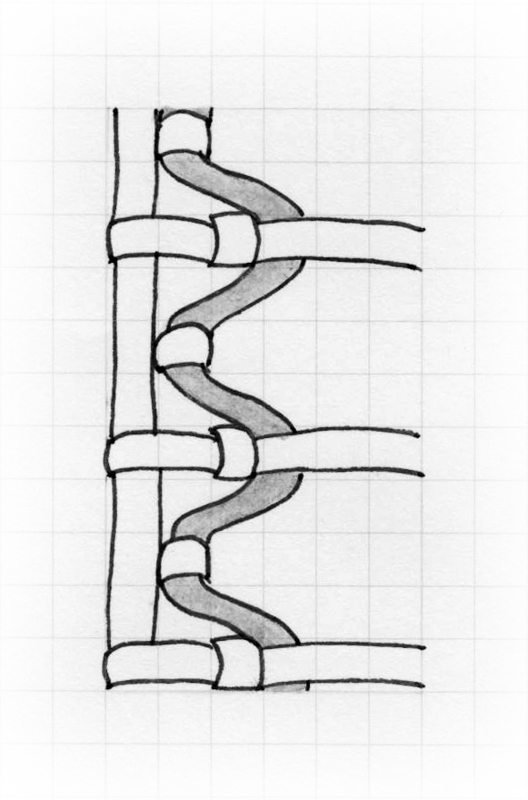 It is important to remember that all the twisting threads (leno ends and warp ends) must be put through the same dent in the reed. Shaft 1 will contain the empty heddle for each doup to be threaded through and will be lifted every time the warp thread is to be twisted. Shaft 2 is where the doups will be attached .This shaft will need to be kept raised throughout the whole weaving process otherwise the leno warp end may be broken. Shaft 3 is for the black leno ends which are the ones to be twisted. This will be lowered when shaft 1 is lifted to create the threads. Shaft 4 it for the warp end that the black end will twist around and remains stationary (lowered) throughout the weaving process. Shafts 5-8 are used for the plain weave of the rest of the fabric. In the draft above there are two sections of Leno on a plain weave fabric. One on the left where just two leno threads are used to stop the warp moving in to a gap in the warp. The second on the right is an area of leno in which two leno ends twist around two warp ends. Below are close ups of the two different leno weaves from the above draft as well as a diagram for each to show how the dark leno ends are twisitng. In an extra weft structure one weft yarn is used to weave a ground cloth and an additional weft is inserted at intervals to create a decorative pattern on the surface on the cloth. 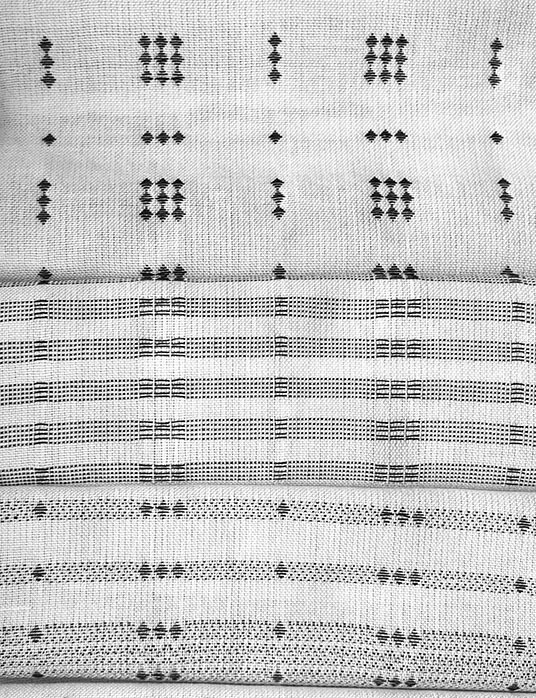 The ground cloth is usually woven with a simple structure such as a plain or twill weave to enhance the extra weft but other structures can be used. The sections of the warp that will interact with the extra warp to create the pattern are set up on separate shafts to allow it to be woven independently from the ground cloth where required. The number of shafts needed depends on how complicated the pattern is going to be. For the example below I have used an eight shaft loom. 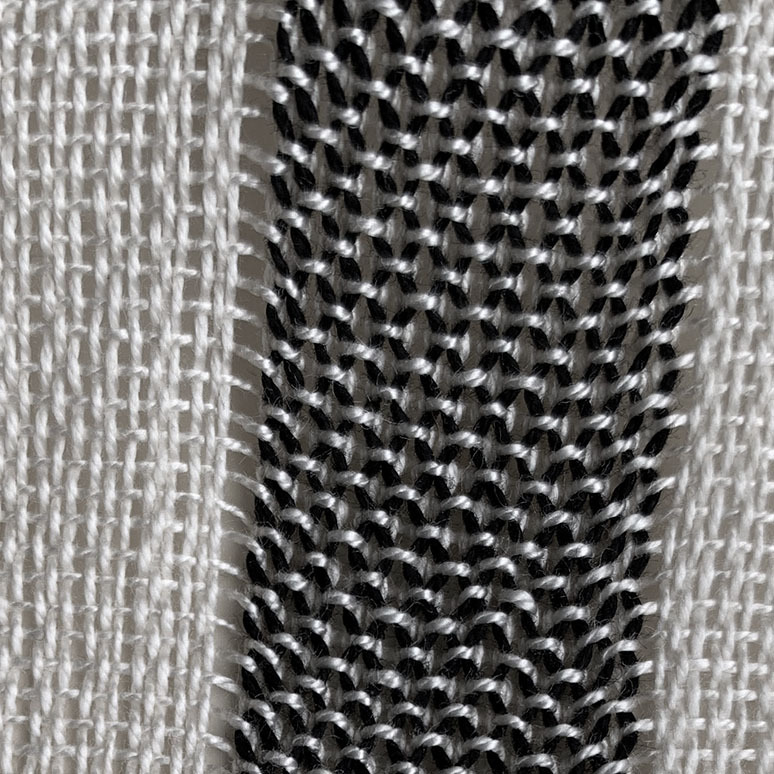 Plain weave is woven across all 8 shafts for the ground cloth (block A and B woven simultaneously). 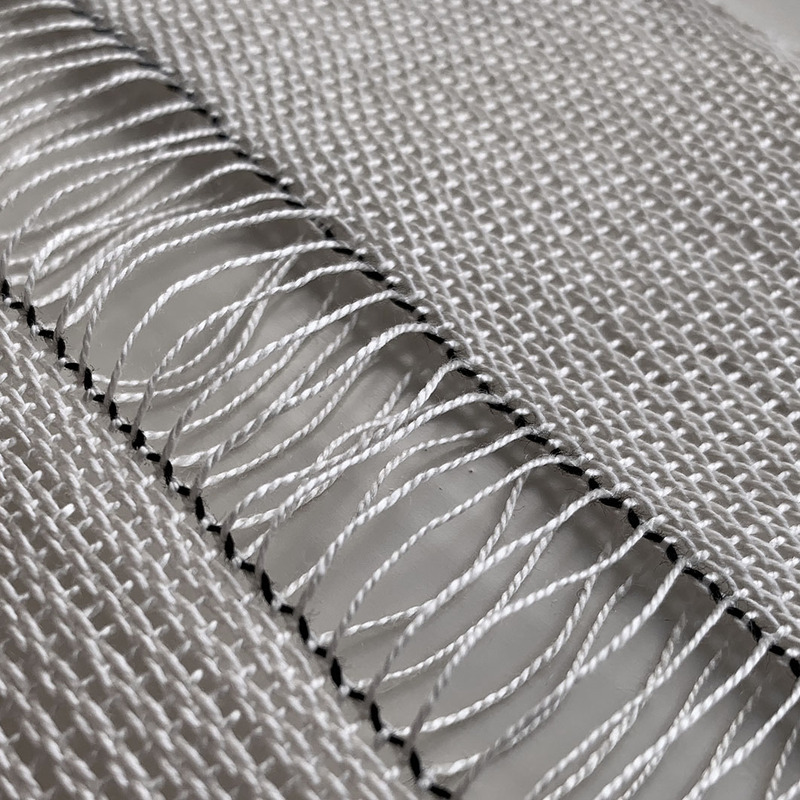 Shafts 5-8 (block B) are only threaded in specific areas and are woven independently to create diamonds at regular intervals throughout the cloth. The first end in block A after a block of B must be threaded on shaft two otherwise a plain weave structure will not be possible. The best way to spot these potential errors before weaving is to draw out the draft either by hand or on a weave program. To ensure a stable structure around the extra weft diamond, the ground cloth picks are alternated with the extra weft picks. On the left of the draft the filled circles represent the extra weft and the empty one the weft represent the ground cloth. The woven samples below are all woven with the same warp set up. Included is the diamond structure explained above. Extra weft structures can be used in many different ways to create a vast range of cloths. The following will take you through the calculation to do this. It looks like a lot but they should be relatively straight forward things to work out. For the sake of simplicity I will work in centimetres/meters but the same can be applied to inches/yards. The shrinkage/take-up is usually assumed to be 10% of the length of the woven piece but this can vary by a large amount depending on the yarn, structure and finishing. Sampling will give you a more accurate number. Yarn wastage is the amount of yarn used to tie on to the front beam plus the warp woven for even end distribution plus the loom waste (the amount of yarn left on the loom not able to be woven). Once you have chosen a yarn(s) to use use for a warp you need to consider the sett. In other words, the number of warp ends you will want to have in your woven cloth per centimetre/inch (ends per centimetre (EPC) or ends per inch (EPI)). A weave structure with fewer weft intersections with the warp will require a higher sett. For example a 3/1 twill will require a higher sett than a plain weave. If the final outcome is to be a lightweight scarf then the sett may need to reduced considerably. On the other hand if the fabric is to be cut and sewn a much higher sett is needed so it holds together well. A higher sett will also make it harder wearing. Some weavers prefer to use a slightly higher/lower EPC/EPI and may also beat down their weft harder/more softly. Bearing this in mind the below is only a guide and other factors will affect the sett. To work this out you need to take your yarn and wrap it around a ruler. Do this with no gaps between but ensure the yarn does not bunch up or overlap. Wrap it around in a 1 cm or 1″ section as shown below. Dividing the number of times the yarn was wrapped by 2 gives you the EPC/EPI of your woven cloth. This method is usually a good indicator of the number of ends you will need for a balanced plain weave structure. When we talk about a balanced plain weave we mean a plain weave where the warp and weft are equally visible, neither one dominates the other. 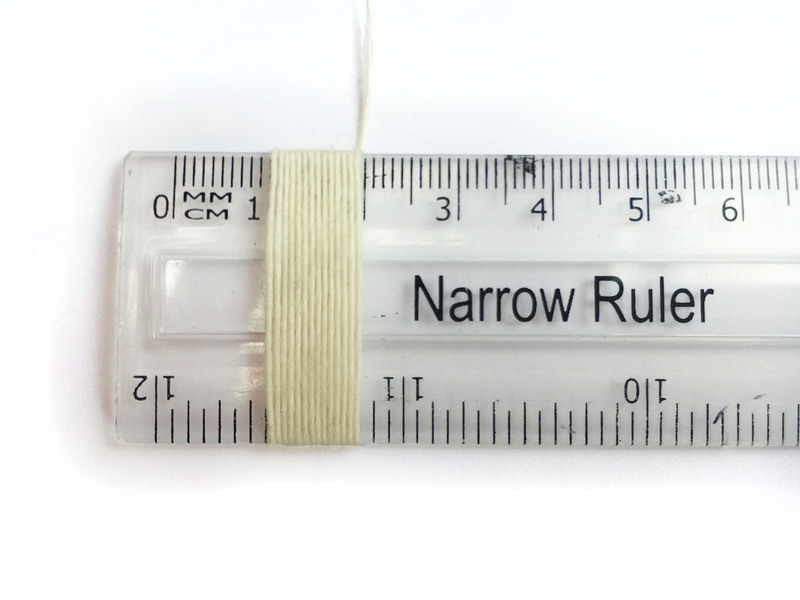 For a balanced twill you would use 2/3 of the number of ends round the ruler. 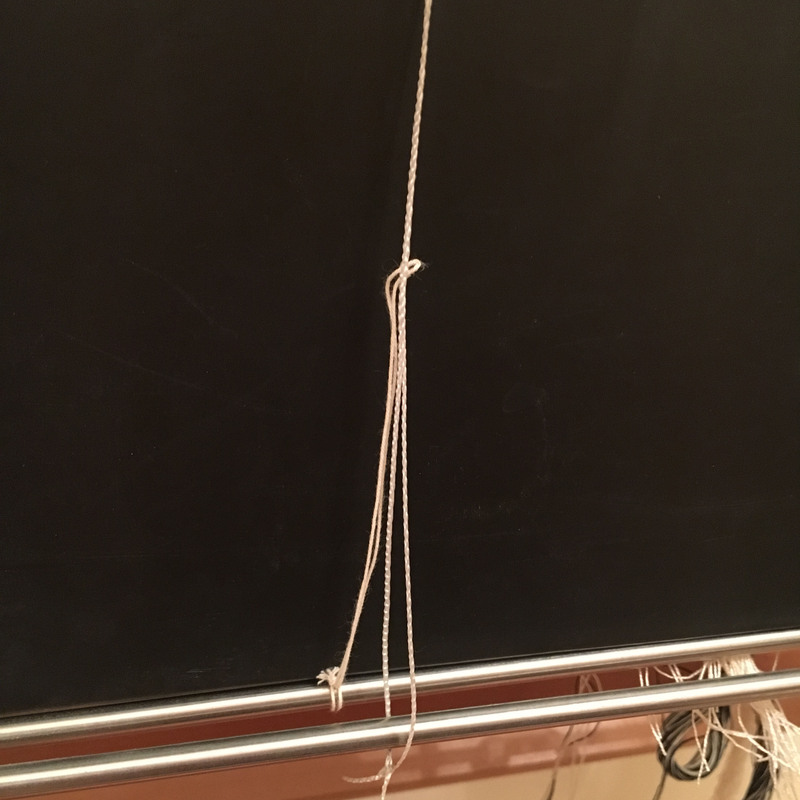 In the photo above the yarn was wrapped around the ruler 14 times within 1cm. This means I would want to start with 7 EPC for a plain weave or 10 EPC for a twill. T is the number of times the yarn was wrapped around a ruler. R is how many ends there are in one repeat. 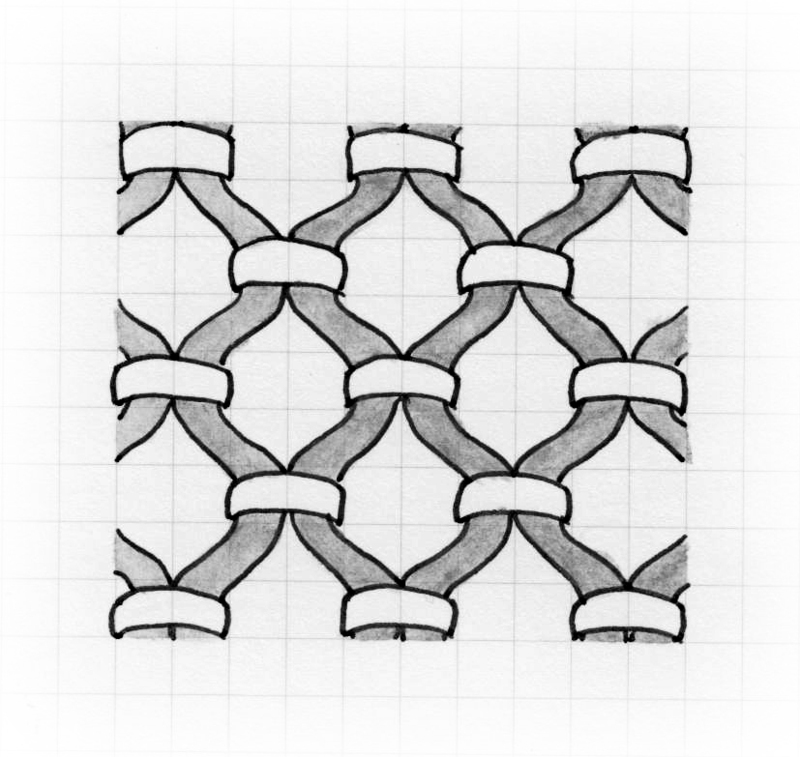 I is the number of weft intersections in one repeat. I personally prefer to use the first method mentioned and adjust it taking all other aspects of the woven piece in to consideration. Sampling really is the only way to get just the right sett. Some fibres come from a natural source but are classed as synthetic. This is due to the manufacturing process the fibre has gone through to and whether the end fibre is biodegradable.